try to be simple, less is more. 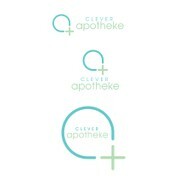 "Severino did a great job for us designing the CI for our pharmacy. He is working very customer-oriented, fast and with a lot of patient for demanding customers like us. Communication is very easy with him and he reacts in a few time. We can 100% recomme..."
"We worked with Severiano for the development of separate company and product logos. We had a very definite idea and concept of what we wanted in both logos. We completed a very detailed design brief to convey what we were looking for. Severiano excee..."